This boy child of mine is either reckless, ungainly, or simply just all boy. He jumps into everything head first at full speed! I had no idea that my kitchen could be such a danger zone! This particular day, it seemed that with every turn he was having some kind of accident. So, I decided it’d be safer to send him outside. The weather has warmed up and it was perfect for this little guy’s boundless energy! 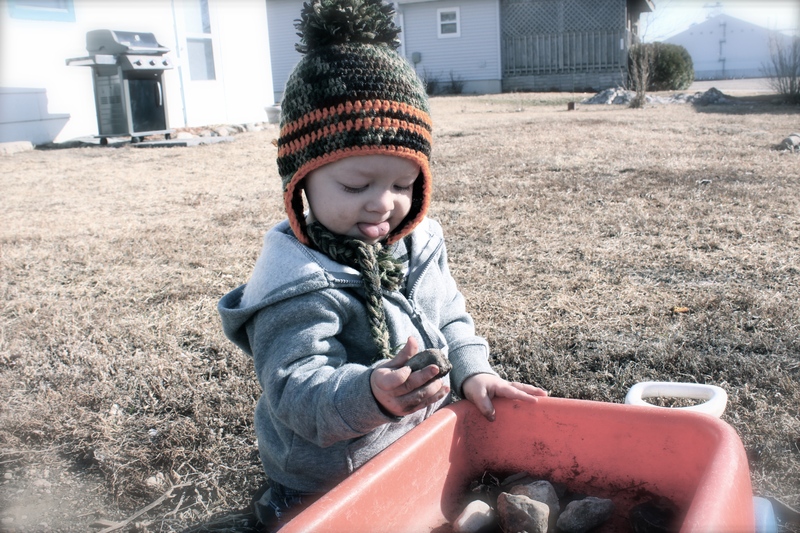 He enjoyed sampling the dirt, rocks, and anything else that looked edible to him…. but by the look on his face, I don’t think he was overly impressed. Combine yeast, water, and sugar. Dissolve. Heat yogurt until bubbly. Cool slightly and add. Mix remaining ingredients to make soft dough. Begin the “rolling and folding” process. Flour a work surface. Roll out into a long rectangle and brush with some softened butter. Fold the dough together as if it were a business letter. And roll it out into a long rectangle again brush with more butter. Then, fold again. You’ll repeat rolling and folding 2 more times for a total of 4 times. Cover and refrigerate overnight or at least 4 hours. Heat raspberries, sugar, and juices until warm. In small dish, mix cornstarch with cold water. Add to raspberries and cook until thickened. Remove from heat and cool. 1 tsp shortening – melt in microwave safe bowl. This looks like a lot of ingredients and steps but it really isn’t that hard. 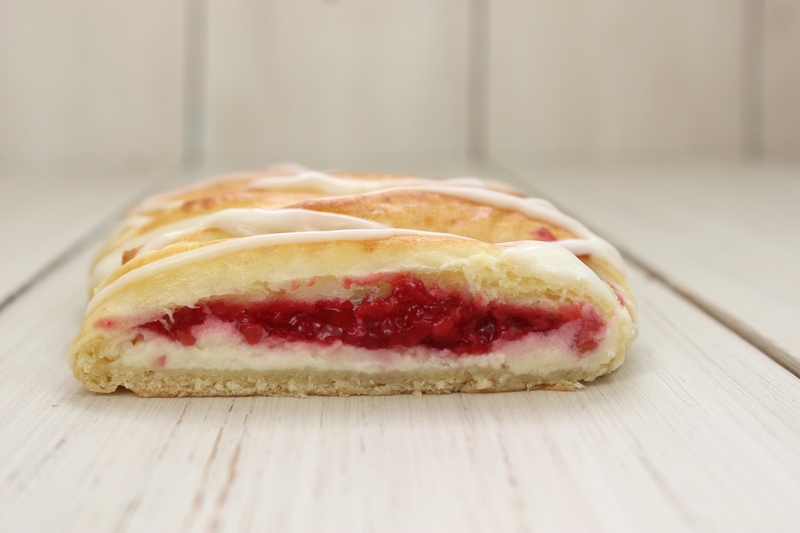 I made my dough ahead and then later on mixed my cream cheese filling and made the raspberry topping. 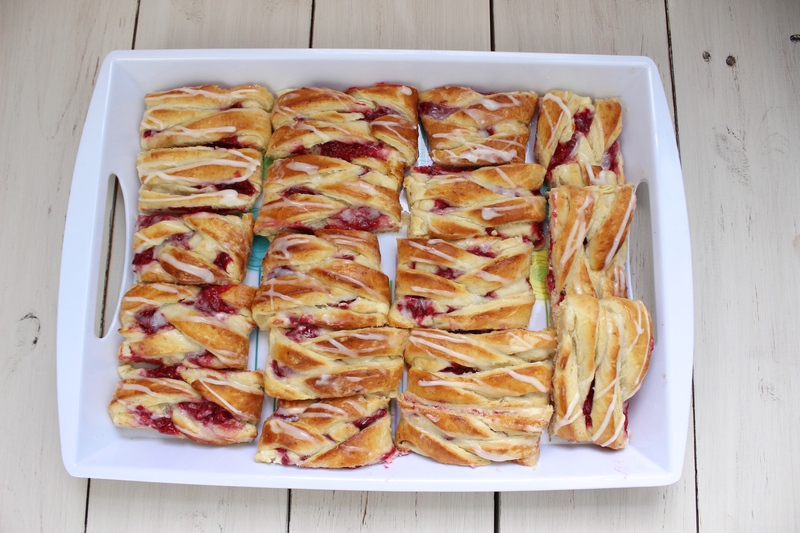 Divide dough in half and roll out into rectangle….. spread with half (I didn’t use all of mine!) of cream cheese mixture…. 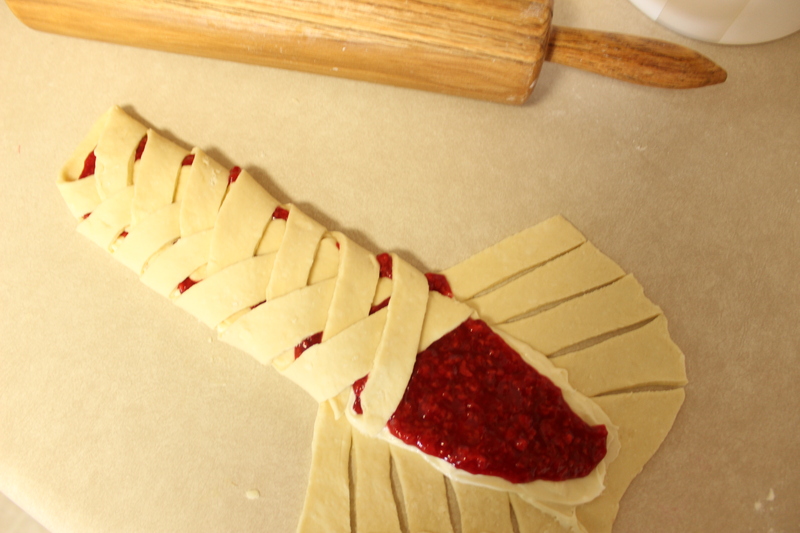 Add a thin layer of raspberry topping. Cut slanting strips (3/4 inch – 1 inch each) along both sides. Braid. Place on greased cookie sheet. Allow to rest 10 minutes. Bake in preheated oven at 350 for 20 minutes. Cool. Prepare glaze and drizzle over pastries. Enjoy! And they were absolutely delicious and have haunted me ever since!! Can’t wait to make them!! Wow, I need to make these soon! looks like a great recipe!